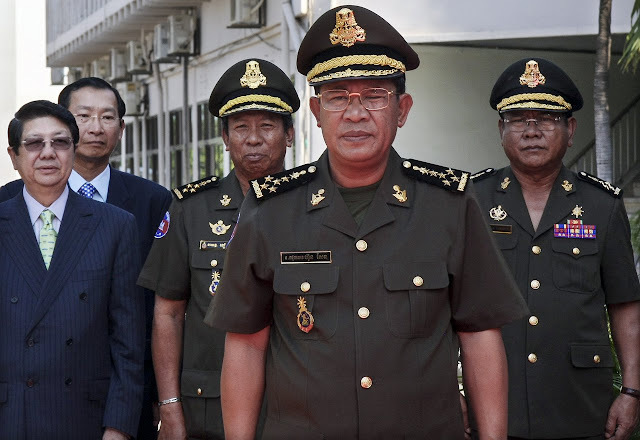 Only days before 11 opposition activists were imprisoned on charges widely branded as politically motivated, Prime Minister Hun Sen personally warned Cambodia National Rescue Party president Sam Rainsy to keep his troops in line and raised the spectre of possible jail sentences. In a text message sent four days ago, the prime minister warned his counterpart in the CNRP that the current political truce dubbed “the culture of dialogue” was at risk if he could not control his people, two sources with knowledge of the matter confirmed. Although not detailing specifics, the veiled threat seemingly supports widespread accusations by human rights groups that the government has used the case to pressure the CNRP, most recently, they say, as a response to the opposition’s criticism over alleged Vietnamese encroachment and the NGO law. The warning also raises questions about the CNRP leader’s lack of reaction to the case and his decision to leave for France in the immediate wake of the verdict, a move which yesterday drew fierce criticism including from a daughter of CNRP vice president Kem Sokha. On Tuesday, 11 activists were found guilty of trying to foment an “insurrection” over their roles in a protest at Phnom Penh’s Freedom Park that turned violent and left dozens injured. Meach Sovannara, a Khmer-American and head of the CNRP’s information and media department, and activists Oeur Narith and Khin Chamroeun, received 20 years for “leading an insurrection” while eight other people were given seven years. As human rights groups yesterday slammed the verdict as “absurd”, Rainsy released a statement marking the one-year anniversary of a deal with the ruling Cambodian People’s Party to end the opposition’s boycott of parliament following the disputed 2013 elections. 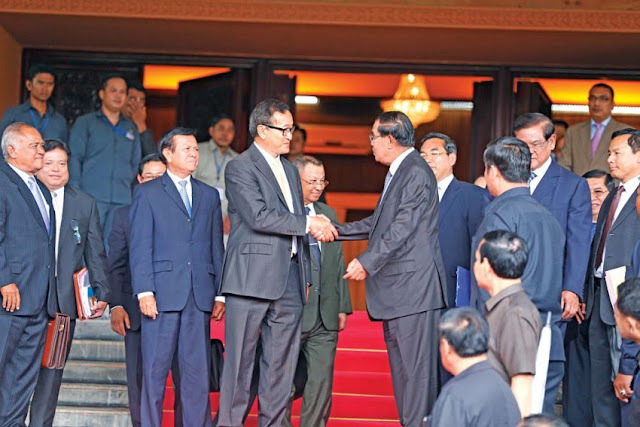 Without mentioning the case, Rainsy praised the culture of dialogue as a historic turning point in Cambodia’s history, saying since the deal was struck the political situation had improved “markedly”. “It is definitely damaging to Sam Rainsy; I think the timing could not be worse,” analyst Ou Virak said of the statement. Siem Reap CNRP coordinator Seng Rotha called on his leader to step up. “Rainsy should condemn the government; he needs to show the public he is helping his colleagues as soon as possible,” Rotha said. Human Rights Watch called on the government to immediately exonerate and release the 11 activists, saying there was no evidence to support the charges. The International Federation for Human Rights, including local groups Licadho and Adhoc, condemned the “absurd conviction”. “Yesterday’s verdict was the disgraceful culmination of a 12-month saga that saw opposition members and supporters being used as pawns of Hun Sen’s political machinations,” said Adhoc president Thun Saray. In a statement yesterday, the CNRP expressed its “strong surprise and regret” over the court’s decision, which it said was contrary to the spirit of the July 22 accord. CNRP spokesman Yem Ponharith confirmed party vice president Kem Sokha had met with US and Japanese officials and was planning to meet with more in the coming days seeking intervention. Responding via email yesterday, Rainsy defended his trip to France, saying it was planned many weeks ago. He also said his statement was drafted before Tuesday’s verdict, but stuck by his commitment to the culture of dialogue, which, he said, was “vital” for the country’s democratic future. The US Embassy confirmed it has requested to meet Meach Sovannara but declined further comment.